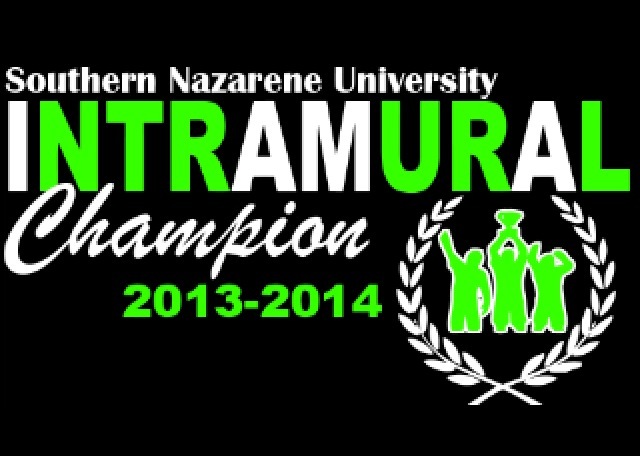 Every November, students get a chance to become “legends in their own minds.” Such is the tagline for SNU Intramurals, a school sports league that offers students who do not participate in varsity sports the chance to compete against each other in basketball, softball and football, just to name a few. This year, SNU Intramurals has a new director, Matt Shellenberger, and he has carried out a plan to make SNU Intramural football the most exciting non-varsity sport in the fall, maybe even the year. As a part of the new-look football league, Shellenberger says that stats and awards have now been thrown in the mix. “This year, we are trying to make it closer to how college football is run. We are giving out individual awards and more recognition. Awards at the end of the season will be: The Jim Thorpe Award for the best defensive back, the Biletnikoff for the best wide receiver, the Davey O’Brien for the best quarterback and the Heisman Award for the best overall player. We’re also trying to make the regular season matter a bit more with the ‘race for the Heisman,’ along with all of the other honors. “As far as stats, Eric Moore and I have talked about doing stats for while. I mentioned the idea to the Intramural I-captains and they thought it would be pretty cool. Eric is the former Intramural Director and he was the one who set up the app originally; I told him some of my ideas, and he created the stat page for Intramurals. They are collected by tallies; each person on each roster is printed out, and we put a tally down by a player’s name after they record a stat. Aside from the stats, awards and fun, SNU Intramurals, particularly football, is a great way for students to compete against each other while getting to know one another as well. Football is a universal language that will be spoken by many people for countless years to come. The SNU Intramural Football Championship will be played at the SNU Football Stadium. Download the SNU Intramural app for more info on date and time. Next PostWhy are you a fan?